Join the Chamber of the Santa Barbara Region every 2nd Thursday for our monthly Business After Hours Networking Event! 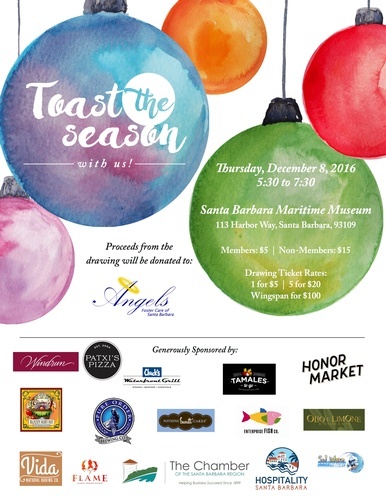 Join the The Chamber and Hospitality Santa Barbara at the Toast the Season Holiday Event as they sponsor the December After Hours! Payment can be made at the door with cash, check or credit card.